We have our first major box office flop of 2019. The Kid Who Would Be King, Fox’s new kid-friendly take on the legend of King Arthur is, unfortunately, going to walk away with the distinction. The movie opened this past weekend and its numbers were far from impressive for almost any movie, let alone a giant fantasy blockbuster with a huge marketing budget. With that taken into account, Fox could stand to lose tens of millions of dollars as a result. According to insiders at rival studios, the movie could lose as much as $50 million. As of this writing, it’s grossed just $10.8 million worldwide, including $7.5 million domestically. Granted, it still has quite a few markets to open in around the world, including the United Kingdom, where it’s expected to have a reasonably large audience. For what it’s worth, insiders at Fox dispute the $50 million figure, which doesn’t account for home video sales and other ancillary revenue streams. Fox expects that international box office ticket sales could help bring the movie closer to profitability. 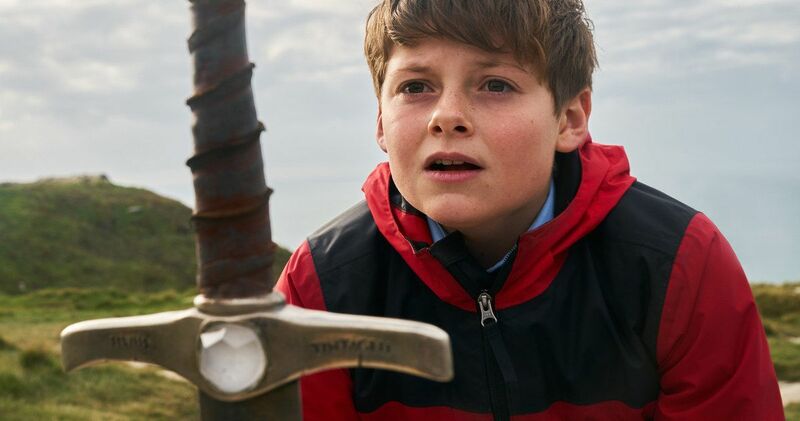 The Kid Who Would Be King comes from filmmaker Joe Cornish, whose previous directorial effort, the sci-fi indie Attack the Block, was received quite well. Cornish also penned The Adventures of Tintin and did some script work on Ant-Man. Response hasn’t been the issue on this one. As it stands, the family-friendly adventure has an 87 percent approval rating from critics on Rotten Tomatoes, to go along with a solid 72 percent audience rating. This was just a tough sell for the casual moviegoer and, for whatever reason, studios can’t seem to crack the code on the King Arthur tale for modern audiences. 2017’s King Arthur: Legend of the Sword also proved to be a massive flop for Warner Bros.
Part of the issue could be a lack of star power. The movie mostly features a young, unknown cast headlined by Louis Ashbourne Serkis, son of motion capture legend and actor Andy Serkis. The cast also includes Patrick Stewart, an established and well-liked actor, as well as Rebecca Ferguson, who most recently starred in the hit Mission: Impossible – Fallout, but neither of them can carry a movie to box office success with their names at this point. But it’s, by most accounts, a quality movie with a good cast that just suffered a tragic fate. To add insult to injury, this is also going to be one of the last movies released by Fox ahead of the Disney merger, which is set to be completed in the coming months. At that point, Disney will be in charge of any movies already finished or in production at Fox and it will be the Mouse House who has to take responsibility. Sadly, this won’t be the glorious finish to the studio’s long, storied history that they probably deserved. This news was previously reported by Variety.